Tariq Jazeel graduated from the University of Sussex with a BA (Hons) in Geography and Environmental Studies. He completed an MA in Cultural Geography, and a PhD at Royal Holloway, University of London, before working there briefly as a Teaching Fellow. He was a Postdoctoral Research Fellow in Human Geography at The Open University, and then taught in the Geography department at The University of Sheffield from 2005 till 2013. He joined UCL in 2013. Tariq has held visiting attachments at the International Centre for Ethnic Studies (ICES), Colombo, Sri Lanka (2005, and 2006), and the Department of Geography at the National University of Singapore (2012). He has also been a British Academy visiting fellow at L’École Francais d’Extrême Orient, Pondicherry, South India (2012). He is an Editor of the journal Antipode, on the Editorial Collective of Social Text, and serves on the editorial boards of Geography Compass: Cultural Geography and Society and Culture in South Asia. Tariq co-founded and co-directs UCL's Centre for the Study of South Asia and the Indian Ocean World, which is based in the College's Institute of Advanced Studies. Jazeel, T. (2019). Postcolonialism. Routledge: London and New York. Jazeel, T. and S. Legg (eds.) (2019). Subaltern Geographies. University of Georgia Press: Athens, Georgia. Jazeel, T. (2013). Sacred Modernity: nature, environment and the postcolonial geographies of Sri Lankan nationhood. Liverpool University Press, Liverpool. Jazeel, T. (2015). Utopian urbanism and representational cityness: on the Dholera before Dholera smart city, Dialogues in Human Geography 5 (1), pps.27-30 [essay in response to lead article by Ayona Datta]. Jazeel, T. (2014). Subaltern Geographies: geographical knowledge and postcolonial strategy, Singapore Journal of Tropical Geography 35 (1), pps.88-103. Conde, M. and Jazeel, T (2013). Kicking off in Brazil: manifesting democracy. Journal of Latin American Cultural Studies 22(4), 437-450. Jazeel, T. (2013). Dissimulated landscapes: postcolonial method and the politics of space in southern Sri Lanka. Environment and Planning D: Society and Space, 31(1), 61-79. Jazeel, T. (2012). Postcolonial Spaces and Identities. Geography, 97(2), 60-67. Jazeel, T. (2012). Postcolonialism: Orientalism and the Geographical Imagination. Geography, 97(1), 4-11. Jazeel, T. (2011). Spatializing Difference Beyond Cosmopolitanism: rethinking planetary futures. Theory Culture & Society, 28(5), 75-97. Jazeel, T. (2010). Sri Lanka inside-out: cyberspace and the mediated geographies of political engagement. Contemporary South Asia, 18(4), 443-449. Jazeel, T. and McFarlane, C. (2010). The limits of responsibility: a postcolonial politics of academic knowledge production. Transactions of the Institute of British Geographers, 35(1), 109-124. Jazeel, T. and Ruwanpura, K. (2009). Dissent: Sri Lanka's new minority? (Guest Editorial). Political Geography, 28(7), 385-387. Jazeel, T. (2009). Reading the geography of Sri Lankan island-ness: colonial repetitions, postcolonial possibilities. Contemporary South Asia, 17(4), 399-414. Jazeel, T. (2009). Governmentality. Social Text, 27(3 100), 136-140. Jazeel, T. (2007). Spectres of tolerance: living together beyond cosmopolitanism (Review essay). Cultural Geographies, 14(4), 617-624. Jazeel, T. and McFarlane, C. (2007). Intervention: Responsible Learning: cultures of knowledge production and the north-south divide, Antipode, 39(5), 781-789. Jazeel, T. (2007). Awkward Geographies: spatializing academic responsibility, encountering Sri Lanka. Singapore Journal of Tropical Geography, 28(3), 287-299. Clark, N., Greenhough, B. and Jazeel, T. (2006). Reply: when response becomes responsibility. The Geographical Journal, 172(3), 248-250. Jazeel, T. (2006). Postcolonial geographies of privilege: diaspora space, the politics of personhood and the 'Sri Lankan Women's Association in the UK'. Transactions of the Institute of British Geographers, 31(1), 19-33. Greenhough, B., Jazeel, T. and Massey, D. (2005). Introduction: geographical encounters with the Indian Ocean tsunami. The Geographical Journal, 171(4), 369-371. Jazeel, T. (2005). The world is sound? Geography, musicology and British-Asian soundscapes. Area, 37(3), 233-241. Jazeel, T. (2005). 'Nature', nationhood and the poetics of meaning in Ruhuna (Yala) National Park, Sri Lanka. Cultural Geographies, 12(2), 199-228. Jazeel, T. (2005). Because Pigs Can Fly: sexuality, race and the geographies of difference in Shyam Selvadurai's 'Funny Boy'. Gender, Place and Culture. 12(2), 231-249. Jazeel, T. (2003). Unpicking Sri Lankan 'island-ness' in Romesh Gunesekera's 'Reef'. Journal of Historical Geography, 29(4), 582-598. Jazeel, T. and S. Legg (2019). Subaltern Studies, Space and the Geographical Imagination. In: T. Jazeel and S. Legg (eds. ), Subaltern Geographies, University of Georgia Press: Athens, Georgia. 1-35. Jazeel, T. (2018). Building Sacred Modernity: Buddhism, secularism and a geography of religion in southern Sri Lanka. In: N. Bartoloni, S. MacKian and S. Pile (eds. ), Spaces of Spirituality. Routledge, London and New York. 54-66. Jazeel, T. (2013). Postcolonialism. In: N. Johnson, R. Schein and J. Winders (eds. ), A New Companion to Cultural Geography. Wiley Blackwell, Oxford. 17-22. Jazeel, T. (2012). Sacred Modernism or Secular Space: the ornamental politics of religion in Sri Lanka. In: Ghosh, R. (ed.) Making sense of the secular: critical perspectives from Europe and Asia. Routledge, London & New York. 144-156. Jazeel, T. (2011). The geography of theory: knowledge, politics and the postcolonial present. In: Teverson, A. and Upstone, S. (eds.) Postcolonial spaces: the politics of place in contemporary culture Palgrave MacMillan, Basingstoke. 164-184. Jazeel, T. (2010). Iconographies elsewhere: reading landscape in translation. In: della Dora, V., Digby, S. and Basdas, B. (eds.) Visual and historical geographies: essays in honour of Denis E. Cosgrove, Historical Geography Research Series 42, Royal Geographical Society, London. 119-129. Jazeel, T. (2009). Geography, spatial politics and productions of the national in Michael Ondaatje's 'Anil's Ghost'. In: Brun, C. and Jazeel, T. (eds.) Spatialising politics: culture and geography in postcolonial Sri Lanka, Sage, New Delhi. Jazeel, T. and Brun, C. (2009). Spatial Politics and Postcolonial Sri Lanka. In: Brun, C. and Jazeel, T.(eds.) Spatialising politics: culture and geography in postcolonial Sri Lanka, Sage, New Delhi. Jazeel, T. (2004). Parks. In: Harrison, S., Pile, S. and Thrift, N. (eds.) Patterned Ground: entanglements of nature and culture, Reaktion, London. 142-144. Murray, A., in collaboration with T. Jazeel. (2016). Encounters. Room 108. A book of creative writing (copies available on request). Jazeel, T. (ed.) (2010). Impact: knowledge production and the future of the British Academy. Jazeel, T. (2009). Book review: Colonial modernities: building, dwelling and architecture in British India and Ceylon, by Scriver and Prakash (eds. ), South Asia Journal for Culture, 3, 100-101. Jazeel, T. (2009). Book review: Colonial modernities: building, dwelling and architecture in British India and Ceylon, by Scriver and Prakash (eds.). Cultural Geographies, 16(1), 140-141. Jazeel, T. (2007). Bawa and Beyond: reading contemporary Sri Lankan architecture, International Centre for Ethnic Studies (ICES) monograph, Colombo, Sri Lanka. Sinhala translation, by Samudrika Sylva, published in Patitha 2006 (4), 7-43, a journal of the Colombo Institute for the Advanced Study of Society and Culture. Jazeel, T. (2007). Book Review: Writing diaspora: South Asian women, culture and ethnicity, by Yasmin Hussain. Gender Place and Culture, 14(5), 621-623. Greenhough, B., Jazeel, T. and Massey, D. (eds.) (2005). The Indian Ocean Tsunami: geographical commentaries one year on; themed section, The Geographical Journal, 171(4), 369-386. Jazeel, T. (2003). Book Review: Thinking geographically: space, theory and contemporary Human Geography by Hubbard, Kitchin, Bartley and Fuller (Eds.). Progress in Human Geography, 27(5), 668-669. Jazeel, T. (2001). Book Review: Decolonizing Ceylon: Colonialism, Nationalism and the Politics of Space in Sri Lanka by Nihal Perera. Singapore Journal of Tropical Geography, 22(2), 194-197. Jazeel, T. (2001). Book Reviews: Environmental philosophy and ethics in Buddhism by Padmasiri de Silva, and Spirit of the environment: religion, value and environmental concern, by Cooper & Palmer (eds.) Ecumene, 8(4), 513-516. Tariq works at the intersections of human geography, South Asian studies and postcolonial and critical theory. In broad terms, his research explores the spatial constitutions of nation, identity and belonging in South Asian contexts, especially in Sri Lanka, as well as the challenges of engaging non-western contexts. His published work has focused on aesthetic and environmental formations and their relationships to the politics of Sri Lankan nationhood, especially in relation to the country’s rich recent history of national emparkment and its ‘tropical modern’ architecture. He has also written on literary geographies and various diasporic and ‘multicultural’ formations, particularly in relation to British-Asian culture; on the postcolonial politics of geographical knowledge production and responsibility; and on geographical engagements with radical alterity. Click here for a video of Tariq in conversation with Mercury Prize winning musician, Talvin Singh, at UCL's Institute of Advanced Studies and Centre for the Study of South Asia and the Indian Ocean World. 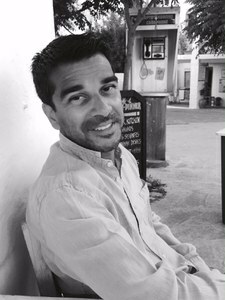 In current research, Tariq continues to focus on ‘tropical modern’ architecture and planning in South Asia; on the relationships between politics, aesthetics, and spatialities of dissent, particularly in Sri Lanka; and on geographical knowledge production and the sublation of difference. With respect to the latter, he has been exploring the potentials that thinking between Subaltern Studies and critical geography offers to postcolonial geographical knowledge production. During 2015, Tariq worked with creative writer Amita Murray, a Leverhulme funded Artist in Residence, to explore relationships between text and place. Part of this project involved a creative writing workshop involving a wide constituency of people at UCL Geography, which resulted in the publication of a book of creative writing (Encounters 108, 2016). Examples of their writing are also available here.